After days of liberals patting themselves on the back for thanking black women who came out in force to vote against Roy Moore in the Alabama senate race, Teen Vogue is striking back on the party’s blatant use of black voters during campaign seasons. He then called them out for using black voters as a “resource” that they only “care to tap into” during elections. “Their voices go unheard as social and economic policies cripple their chances of a successful economic future. 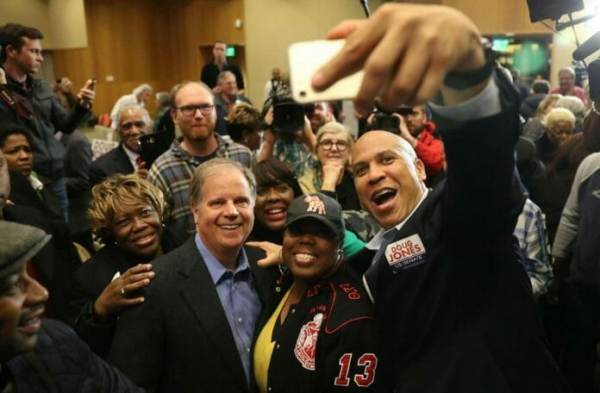 But when an election like the one we just witnessed comes along and national Democratic organizations sweep in to mobilize, it becomes the job of the black electorate to tip the scales, lest they be scapegoated as the reason for a Democratic defeat,” Henry wrote. The effort will consist of purchasing Facebook ads in 42 districts, including battlegrounds such as Kansas’ 2nd Congressional District and Pennsylvania’s 6th Congressional District, that will be targeted at African-American voters — primarily women. It seems as though Henry may just be screaming at the sky on this one, as the Democratic Party continues to treat people of color as loyal pawns in their game of identity politics.